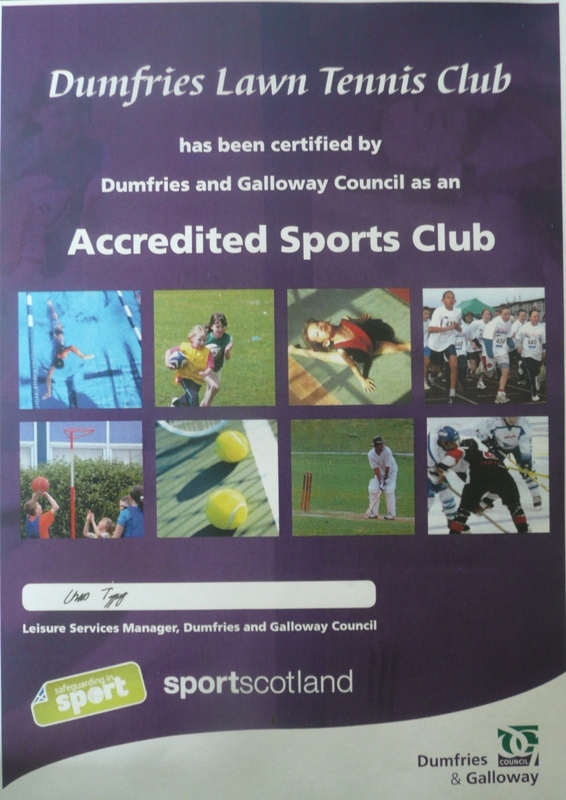 Dumfries Tennis Club has become the first tennis club in the area to receive the prestigious “Accredited Sports Club” status which means that Dumfries & Galloway Council have approved and supports the tennis programmes that we deliver on court and the policies and procedures that we have in place off court. The Council believes that achieving high standards in these areas is crucial in ensuring that your club is managed effectively and that we provide a safe environment for junior members to enjoy and play tennis. Achieving Accreditation shows that our Club programmes, policies and procedures are all in line with best practice. All the relevant documents will be placed on the Sports Club website as soon as.